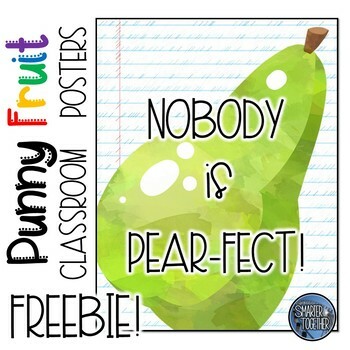 Delight your students and brighten your classroom with this punny (pun intended) fruit themed decor sign. 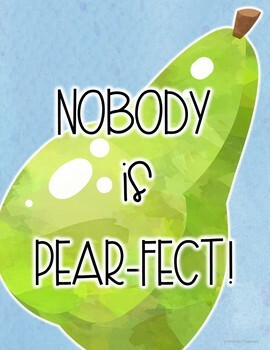 This is a sample of one of the images from a larger set of funny (punny) and inspirational posters. Each poster in the larger set brings a positive message to your students in a unique way. This colorful poster has three background design options (ink saving white, watercolor, and abstract notebook paper). 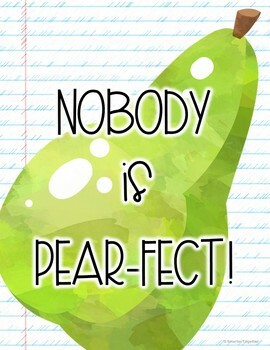 Click here to see the entire Inspirational Fruit Classroom Decor Poster set.